You are viewing the archived electricity ratings. Follow the link to view the current electricity ratings. 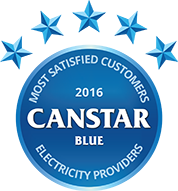 Canstar Blue reviews electricity retailers in NZ, Contact, Energy Online, Genesis, Mercury, Meridian, Nova Energy, Powershop and Trustpower, based on their customer service, bill clarity, advice, range of plans, value for money and overall customer satisfaction. * Overall satisfaction is an individual rating and not a combined total of all ratings. Brands with equal overall satisfaction ratings are listed in alphabetical order. ^ By clicking on a brand or 'details' button, you will leave Canstar Blue and be taken to either a product provider website or a Canstar Blue NZ brand page. You agree that Canstar Blue NZ’s terms and conditions apply (without limitation) to your use of this service,to any referral to a product provider from our website, and any transaction that follows. Canstar Blue may receive a fee for referring you to a product provider. See How we are funded for further details. Canstar Blue NZ Research finalised in March 2016, published in April 2016. Powershop remains New Zealand’s highest-rated electricity provider based on our survey of consumers. It scored five-star reviews across all research categories, including service, advice, bill clarity and value for money. It is the fifth year in a row that Powershop has topped the ratings. The New Zealand electricity market is extremely competitive, with more than 30 energy companies and counting. Having so many options is great news for competition, but it can also lead to confusion. To be sure you’re getting a great deal on your electricity supply, you will need to regularly compare providers, plans and prices. Unfortunately, fewer than half (42%) of New Zealanders have compared retailers in the last 12 months, while 35% are unsure if they’re getting the best deal available on electricity, Canstar Blue’s 2016 survey found. We understand comparing electricity providers can be difficult, and that’s where we can help. Each year, Canstar Blue asks thousands of New Zealand electricity customers to rate their retailer on key criteria, including customer service, advice, bill clarity, value for money and overall satisfaction. This year eight different retailers achieved the minimum sample size required to feature in the results. But for the fifth year in a row, Powershop was the highest rated overall, securing five-star reviews across all criteria, as well as overall satisfaction. While Powershop is clearly a crowd-pleaser with its innovative approach to energy retail, it’s important to keep in mind that there are still plenty of other electricity fish in the sea, which we’ll come to shortly. But first, Canstar Blue will take you through the basics of what you need to know, to help you navigate the New Zealand electricity market and hopefully find a better deal. In order to compare electricity providers, it’s important you have a firm understanding of the subject. In a nutshell, an electricity bill is made up of two main costs – fixed charges, and variable charge – plus any additional taxes, fees and discounts. Daily fixed charge: This is a daily fixed rate fee that applies regardless of whether or not you use any electricity. This charge covers the cost of metering and maintenance, and it varies considerably across different networks, usually ranging from 70 cents to $3 per day for standard user plans. Anytime: The same variable rate is charged on electricity usage at all times of day. Time of use (TOU): Different rates apply at different times of the day. Energy is most expensive during peak demand times, and cheapest during low-demand periods. The times and rates vary across distribution networks, and TOU is only available to households with smart meters. Controlled: Household appliances fixed to a separate metered circuit are charged a lower rate on electricity, but are only supplied during off-peak hours. This can be used in conjunction with a day/night, anytime or TOU agreement. Day/Night: Similar to a time of use agreement, a high variable rate applies between the hours of 7am and 11pm, and a low variable rate applies between 11pm and 7am. Night only: Nominated appliances are only supplied electricity for eight hours per day between 11pm and 7am. Similarly to a controlled setup, while supply availability is limited, a lower rate applies. Some retailers offer a ‘Night Booster’ if you need a few more hours of supply. Electricity deals in New Zealand fall into two categories – Standard User and Low User. Some retailers may refer to these by different names, however they’re principally the same. Low User plans: Customers receive a very low daily charge, usually no more than 30 cents per day, and a very high variable rate charge – often around 25 to 40 cents per kWh. A customer is considered a ‘low user’ if they (generally) live north of Christchurch and consume less than 8,000 kWh per annum, or south of Christchurch and use less than 9,000 kWh a year (pictured). Standard User plans: Has a high daily charge, but low variable charges of around 20 to 30 cents per kWh, depending on pricing structure. Electricity retailers like to reward customers who make their life a little easier, which can be a great way to reduce your overall costs. There are four types of discounts you’re likely to encounter. Prompt payment: Most retailers include a ‘prompt payment discount’ for customers who pay their bills on time. This discount is usually between 10% and 20% depending on the electricity retailer. Direct debit: While less common, some retailers offer a small discount of a few per cent to customers who pay their bills via direct debit. Email correspondence: An additional small discount may be applied to customers who choose to receive their bills and any other correspondence via email. Some retailers instead use email correspondence as eligibility pre-requisites for the aforementioned mentioned discounts. Dual fuel discount: Some retailers who service both electricity and gas provide a bonus discount to customers who have both an electricity and gas account with them. Eight of New Zealand’s leading electricity retailers were compared in this year’s ratings. Here’s what they have on offer. Powershop does electricity a little differently. Rather than pay large quarterly bills, customers can prepurchase electricity in advance through ‘powerpacks’. There are a range of different powerpacks available on Powershop’s online store than can be purchased ahead of time, or as you go, at cheaper rates. You can, however, just pay for your energy in the traditional way. But the best deals are likely to be found through repurchasing power and taking advantage of promotional offers. In fact Powershop is so confident in its product, it promises a saving of $150 in the first year when you switch. Powershop is also one of the leading electricity retailers when it comes to digital services. Customers can log into their online account through the Powershop website or app, and those with smart meters can closely monitor their energy usage in almost real-time, helping to improve awareness of power use and potentially reduce costs. As the name suggests, Energy Online are an online electricity and gas retailer. It promises customers great value and offers one of the largest prompt payment discounts on the market. In addition, new electricity customers will receive $50 off their first bill. Energy Online also prides itself on its flexibility with no contracts or break fees. Mercury retails electricity across New Zealand through its own brand as well as its subsidiary retailers GLOBUG, Tiny Mighty and Bosco. Mercury’s standard plan comes with a reasonable prompt payment discount, as well as a small additional discount for customers who pay their bills via direct debit and receive their bills by email. It also has a special online fixed term deal where Mercury agrees to freeze your rates for two years, so you won’t pay more if electricity prices rise. It also offers customers $100 credit on their first bill when they sign up online using a promo code, and lets customers earn air points by paying their bills. It even has ‘free power days’, where Mercury won’t charge you for electricity. Finally, Mercury also offers a range of solar and energy solution products to help reduce your electricity usage. Nova Energy has two electricity plans on offer – the Home Advantage Plan and the Home Freedom Plan. The ‘Home Advantage’ plan is a fixed rate contract where Nova Energy will not change your rates until March 2019, meaning your rates won’t change if electricity prices rise. There are early termination fees, however. Customers who sign up to the Home Advantage Plan will also receive $100 credit on their first bill. The ‘Home Freedom’ plan is a variable rate contract where the price you pay for electricity may change with notice. It is more flexible than the Home Advantage Plan in that there are no contract terms or exit fees, meaning customers are free to leave whenever. Trustpower is your ‘all in one’ service provider, offering electricity, gas, internet and phone services. Its power deals are pretty straightforward with no apparent discounts, incentives or other gimmicks – just competitive and transparent rates. Contact has nine residential energy products, offering a range of discounts and added perks. Its three most popular plans are said to be the Freedom, Saver Plus and Goodies offers. The Freedom plan gives you a large prompt payment discount, and lets customers leave whenever with no break fees. The Saver Plus gives you the same discount as the Freedom plan, as well as $150 credit off your first bill. The Saver Plus is a fixed rate contract, meaning electricity prices won’t increase for the duration of the term, but there may be break fees for leaving early. The Goodies plan has a small prompt payment discount, but comes with a $100 New World Gift Card. Rates are also locked in for the term, but there are no break fees for early termination. Contact also offers a bonus 1% direct debit discount and 1% email billing discount. It also takes a few cents off your electricity bill per day when you purchase gas through Contact as well. Genesis Energy has two electricity plans on offer – named eSaver and Flexible. As the name suggests, the eSaver is designed to help you save the most on your electricity. It gives you a reasonable prompt payment discount, and prices are fixed for 12 months, though exit fees may apply. The Flexible plan comes with a similar discount to the eSaver, however it has a variable rate and no exit fees. Genesis Energy customers can use the retailer’s mobile app to pay their bills, monitor their electricity usage, and even invite friends to sign up with Genesis Energy, which will earn both parties $50 credit. Meridian’s standard electricity plans are the Basic offer and the $200 Welcome Credit offer. Both plans can come with either fixed or variable rates, and include the same prompt payment discount. The only difference between the two plans is that break fees don’t apply with the basic offer, nor do you receive the $200 credit on the first bill. Meridian also offers a ‘Rest Easy EV Plan’ – a new product designed for customers with electric vehicles. A low night rate is charged between the hours of 9pm and 7am for you to charge your electric car, while a standard daily rate applies at all other times. It also comes with a large prompt payment discount and a free meter upgrade if necessary. Meridian customers can download the retailer’s app to keep up to date with their energy usage, as well as receive regular updates and smart meter alerts. New Zealanders have a plethora of electricity retailers to select from, though some are pretty small and didn’t make it into this year’s ratings due to sample size requirements. Here are some other residential electricity retailers you might not have heard of. While many of these retailers are not as well-known as those included in this year’s customer ratings, that’s not to say they offer any less value than what you’d receive with the big power companies. Some retailers actually bring some rather innovative products to the market. P2, for example, is New Zealand’s only peer-to-peer solar trade platform, and Giving Energy lets customers donate to organisations simply through paying their bills. 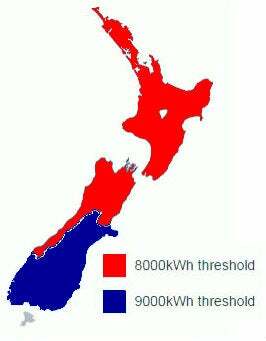 The point we’re trying to make is that New Zealanders have plenty of options when it comes to choosing electricity providers. Our customer ratings provide a helpful insight into how customers rate the biggest of the bunch, but it’s also important to regularly compare deals from a wide range of retailers to ensure you’re getting the best value for your specific needs and preferences. Canstar Blue commissioned I-view to survey 2,500 New Zealand consumers across a range of categories to measure and track customer satisfaction. The outcomes reported are the results from customers within the survey group who currently have an electricity account and pay the bills – in this case, 2,143 New Zealanders.